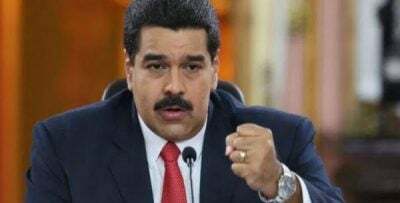 Venezuelan President Nicolas Maduro survived an assassination attempt after several explosives-laden drones were shot down right in front of him during a speech on live TV, and he’s since taken to accusing the US of masterminding this dramatic attempt on his life. His nemesis is infamous for killing its enemies with targeted drone strikes in Afghanistan and other war-torn countries, but its speculated involvement in this latest attack would be an unprecedented development. It appears, however, that any US hand in this happening has remained hidden because the country itself denied any role in this event and the so-called “Flannel Soldiers” who carried out last year’s helicopter attack in the capital already claimed responsibility. Even so, Maduro said that the real conspirators are hiding out Miami and neighboring Colombia, the first-mentioned of which hosts a large anti-government diaspora community while the latter just recently elected a right-wing leader who vowed to take a tough stand against Venezuela. Bolivian President Evo Morales tweeted public statements from then-CIA Director Mike Pompeo earlier this week proving that the American spymaster openly bragged about his plans for a so-called “transition” in the Bolivarian Republic, and he also shared reports from last month alleging that Trump was seriously considered invading Venezuela last year. No matter the degree of possible US involvement, however, it’s clear that some domestic actors were also involved as well. The authorities arrested six individuals so far who they claim are connected with this attempted crime, and while details are forthcoming, it’s highly likely that they’re linked in one way or another with the militant far-right opposition movement that’s been provoking Color Revolution chaos over the past couple of years and partaking in sprees of urban terrorism. The failed drone strike against Maduro could also be rightly classified as urban terrorism too, and beyond the implications that it has for the country’s ongoing and externally provoked political crisis, it also represents the crossing of a dangerous threshold where publicly available drone technology has been used for the first time to try and kill a head of state. Andrew Korybko: How likely is it that the US is connected in one way or another to the failed drone strike against Maduro, and what would its potential involvement in this plot say about the desperate lengths that it’ll go to in carrying out regime change in Venezuela? Is it correct to claim that the Color Revolution has failed so now the CIA’s going back to its Old Cold War-era tricks of trying to assassinate Latin American leaders? Nino Pagliccia: If this was a criminal investigation and we would be looking for who carried out the crime, we would look at clues such as motive and prior convictions. The US government has certainly motive and a very long list of priors all over Latin America and other regions. I would say the US is the prime suspect as the brain behind the action facilitated by Colombia. In fact, this attack is a desperate action by a desperate US. If Venezuela succeeds in bypassing all the sanctions with the new monetary measures recently announced, and produces a much welcome economic recovery, the US will be weakened considerably. As for the Old Cold War-era tricks, we cannot believe in the least that the CIA had shelved those tricks. We must remember that progressive popular changes in Latin America in the last 20 years or so have occurred via the electoral process primarily, including in Venezuela. But the reaction to those left-leaning gains has been a series of regressive parliamentary or real coups. Venezuela has been a unique tough case for the US empire. It survived a failed coup in 2002, then a failed parliamentary coup with a recall referendum in 2004. It has repeatedly won election after election with few exceptions. It has survived violent counter-revolutions, but the Bolivarian Revolution has shown resilience to regime change all within open and acceptable constitutional process. In an ideal world this is a signal that the majority of Venezuelans have made a decision. But the US Empire does not operate in an ideal world. So, if new tricks are not working, it’s time to use old tricks from the arsenal. AK: What do you know about these so-called “Flannel Soldiers” who claimed responsibility for the assassination attempt, and what role are they currently playing in the country’s crisis? NP: Based on their own information, this group was created in 2014. Their Twitter banner that portrays people with their faces covered with a t-shirt – which also explains their name, t-shirt is called “franela” in Venezuela – seems to be a reference to their involvement in street violence called “guarimbas” in Venezuela. I have not seen any serious position analysis from them except rants against the Maduro government. It appears to be an extremely radical opposition group by their own postings. In one of their latest tweets the group claims that it is a “military” movement. Certainly this is not true – maybe militant but not military. However, their claim may well be part of creating the false impression that the armed forces in Venezuela are divided. The attack has already been hailed in Miami as being done by Venezuelan military and police “rebels” in Venezuela. The group has absolutely no role in Venezuelan politics. However, this may be precisely the kind of group that can be easily exploited by some “desperate” foreign government for regime change purposes. I am reminded of the events that created the Free Syrian Army versus the official government Syrian Armed Forces in Syria. Even symbolically, this radical opposition group in Venezuela uses the old Venezuelan flag with 7 stars of the 4th republic, as opposed to the official current flag with 8 stars. We need to watch very carefully if this group is co-opted into something bigger and more dangerous. AK: Some media outlets are speculating that Maduro will launch a so-called “crackdown” against the opposition after what happened, which might have been what the drone strike organizers were expecting if they failed, so how would the state’s forthcoming security operations have to be conducted in order to avoid falling into a US-made trap designed to escalate the crisis once more? NP: You just described a perfect catch22. You’re damn if you do and you’re damn if you don’t. But first, I find it quite appalling that those media outlets would speculate on a so-called “crackdown” before condemning the assassination attempt, if not in defense of Maduro, in defense of the democratic process they are so fond of defending. That is tragic, really. An attempt on the life of a president and officials of the armed forces of a nation cannot be taken lightly. What would the media call the reaction to a similar attempt in the US? What would that reaction be? Following August 4, so far we can see that the Venezuelan state security operations have been swift and open with regular televised updates to keep the population informed. No suspect has been snatched in the middle of the night and disappeared in a secret prison. No one is under threat of being tortured. All suspects have been publicly identified for all to know. Even a member of the National Assembly, who has parliamentary immunity, accused of being involved in the attack, is being legally processed under his rights granted by article 200 of the constitution. Rightly so, the Maduro government has announced that the law will severely punish those responsible. But I do not think for a second that this is the kind of “crackdown” the media wants to make it sound like. Nino Pagliccia is an activist and writer based in Vancouver, Canada. He is a Venezuelan-Canadian who writes about international relations with a focus on the Americas. He is editor of the book “Cuba Solidarity in Canada – Five Decades of People-to-People Foreign Relations” http://www.cubasolidarityincanada.ca. Both authors are frequent contributors to Global Research.